Penthouse-Backpackers i Osnabruck, Tyskland: Reservér nu! 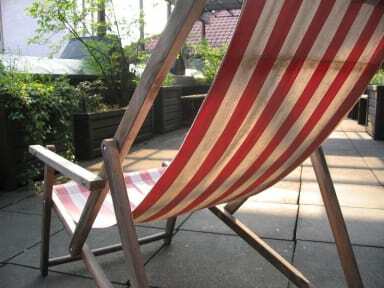 Penthouse-Backpackers is a small friendly hostel in the north of Germany in the historic-laden town of Osnabrueck. We have a self-catering kitchen, sitting room, book swap, laundry, rooftop terrace with BBQ... (hot wine in December: German 'Gluehwein'). Our hostel is called “penthouse”, because it is on the 3rd floor. There is a long flight of stairs up and we have no elevator. The historic town centre is beautiful and the Teutoburg forest around town is great for hiking (dinosaur tracks, salinas, thermal baths...) as well as seeing tiny half timbered houses. Osnabrueck is on your way between Amsterdam and Berlin, Hamburg and Cologne. We offer all kinds of accommodation from dormitories to private rooms. Most rooms have shared bathroom facilities. Our hostel does not offer meals - it is entirely self-catering. a small breakfast (Toast, jam, margarine, tea, coffee) is free of charge. We're happy to see you soon! Check in from 08:00 to 11:00 and from 16:00 to 21:00 . 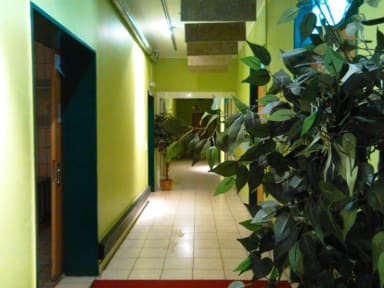 For late check ins after 9 p.m. (a fee of 10.00 EUR) we need to know your exact arrival time at least 3 days before your arrival to organise someone coming to the hostel for you. Reception: 08:00 to 11:00 and 16:00 to 21:00. Age restrication: 18 years and older.